The Carbon Babyroad Car Seat – Grey & Black by Foppapedretti is a super comfortable seat that is designed to fit baby’s anatomy perfectly. Let baby travel in style with the Carbon Babyroad Car Seat – Grey & Black! The Carbon Babyroad Car Seat – Grey & Black by Foppapedretti is a super comfortable seat that is designed to fit baby’s anatomy perfectly. It is approved for groups 1, 2 and 3 or from the wight of 9 to 36 kg. 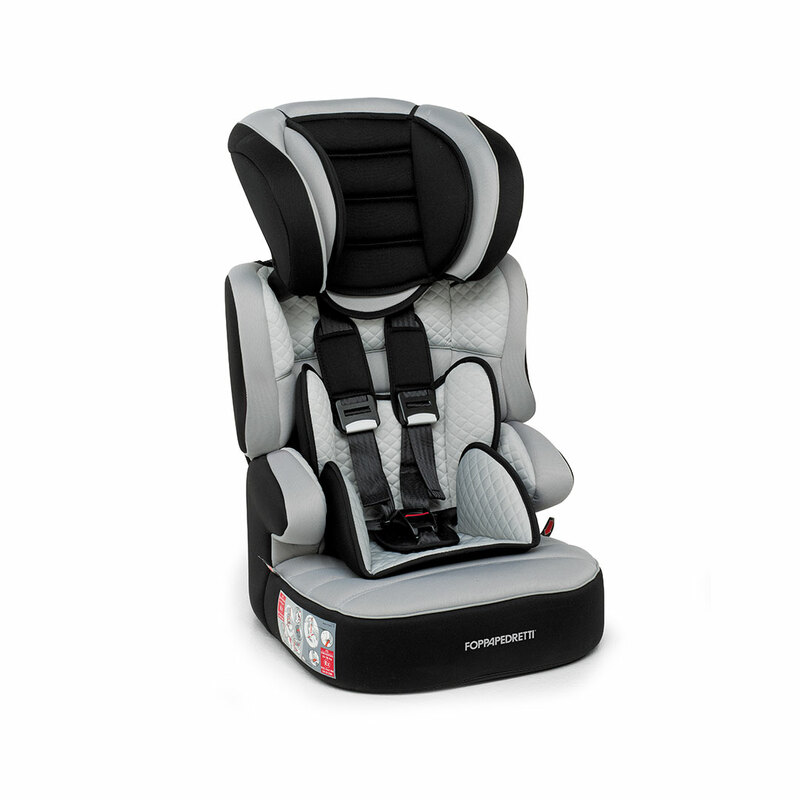 The seat has an adjustable headrest, removable and washable padding and a 5-point safety belt. The safety of your baby in the car is of the utmost importance, as is the choice and installation of the baby seat.